Here at TAC we are offering cost and time effective Operator Licence Independent Compliance Audits. During this we will examine your transport systems in detail and through this we can identify areas that can be improved. If there are any areas that can be improved on, we will supply you with a complete detailed report and the actions that are required to ensure you are complying with the undertaking of your Operator’s licence. Our Audit service will also involve driving licence checks, driver disciplinary, vehicle authorisations and much more. We will build a complete new system to help you maintain compliance and give you guidance in the use of the systems, making sure that you are able to see how you are going to improve. Our team at TAC will provide you with enough information so you do not have to worry about any trouble with your Operator licence. Why choose us for Independent Compliance Audits? Transport Advisory Consultants Ltd (TAC) is committed to providing its clients with the highest standard of service possible, by ensuring that all services are delivered by highly skilled transport Operator Licence & consultancy experts. With our 25 years of experience, TAC offer a complete range of different services including Operator Licence applications and variations, independent compliance audits, transport consultancy visits and tachograph data analysis. Our team of experts specialise in providing many different operating services for your vehicles and transport legislation. Our consultants are chartered members of the Institute of Logistics & Transport, with experience of managing transport operations. One of our experienced transport consultants will examine your transport systems in full, identify areas for improvement and provide you with a detailed summary and report. The report will contain the auditor’s findings and will list any recommendations required to ensure compliance with the undertakings of your Operator Licence. 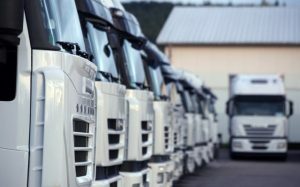 Our independent compliance audit reports are comprehensive and are produced with reference to the Goods Vehicle (Licensing of Operators) Act 1995 and the DVSA Guide to maintaining Roadworthiness (Revised November 2018) as standard and are admissible to the Office of the Traffic Commissioner, if required.